Building relationships through unparalleled service in Buying & Selling Real Estate. Our listings are carefully brought to life, beginning with rigorous preparation. Our staging consultation and home preparation ensures the best path to fantastic photo and video content. We hire the best photographers in the industry and support their small businesses, ultimately ensuring our professional partnerships produce fantastic results! Our marketing drive is unmet, going beyond the MLS to actively attract and procure buyers in their own natural habitat! Amazing Custom home with a built price of nearly a million dollars. Everything needed for luxury living in the North Woods of Wisconsin. Home features in-floor heat, walnut floors, and alder trim. The lower level features a home theatre, family room with bar and poker space, hunting room, and so much more! Additional land is available for purchase. Exquisite custom built home offers luxury living on 100’ of private north/east facing lakeshore on Sand Lake, Burnet Count’s most desired lake! Gourmet kitchen with custom cabinets. 2 gas fireplaces and 3 bedrooms on one level. Beautiful hardwood floors. Awesome master suite offering private access to the deck and luxurious master bath. Huger lower level with family room, spa room, rec room, bar and billiards room. Huge heated 3+ car garage, floor drains, storage and shelving. 2 car detached garage as well for more storage. Beautiful lot with 0.54 acres on Sandhill Lake, located in Luck, WI. Great tree coverage which provides ample privacy. 185’ of sandy shoreline. Open to any builder you choose, perfect lot to build a home or a cabin! 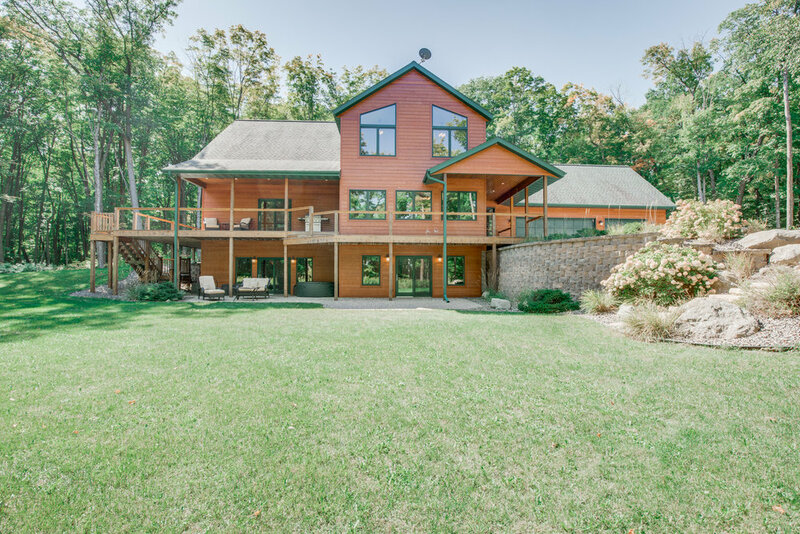 Own your own private lake with over 250 acres of pristine woods, water and wildlife. Massive Northern, Bass, Panfish and a fully stocked Trout pond!. Exquisite lake views and nearly 15,000 feet of your own private lakeshore. Open to any builder you choose, perfect for a home or cabin! Only 75 minutes from the Twin Cities. One of a kind find in the beautiful north woods of WI.